Hello friends!! Here is another sneak peek of FREE products you can earn during Sale-A-Bration!! 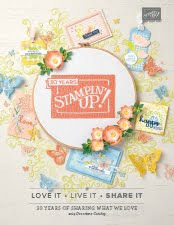 Remember you get FREE items for every $50 you spend on Stampin' Up! products!! 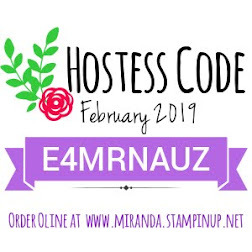 this promotion starts on January 3rd and runs thru March 31st!! Plenty of time for you to get all the items available!!! The stamp set is a level 1 item and the thinlits are a level 2 item!! These two items coordinate great when paired together!! don't you agree??? Remember starting January 3rd you can earn these items for FREE with your purchases! !